With a slow run to get on their feet PVMNTS have hit it hard whilst hitting us with nostalgia from the likes of Blink-182 and Green Day. After just finishing of warped tour the release of “Better day” could not come at a better time for the band. From the first demo release of “Jumping Stairsets” they have followed up with the rest of the EP. Showing us glimpses of what is to come with their other releases “Chemical trails” and “standing (on my own two feet)” the rest of this record will not disappoint. The main thing standing out whilst listening to this is the up beat tempo that keeps up throughout the this release, from the start it hits hard and it carries on to do so the entire time. 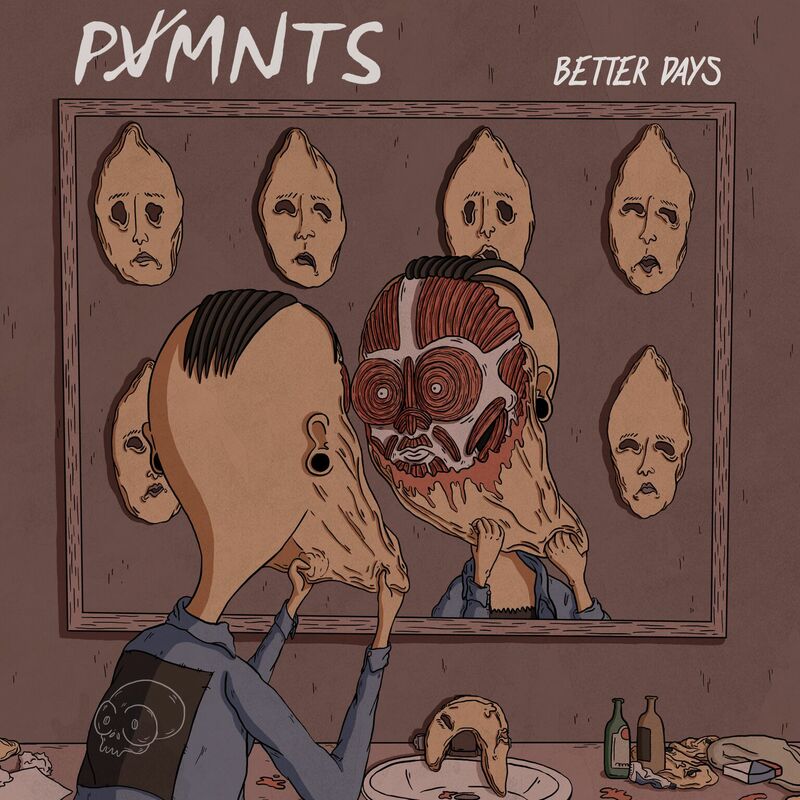 The production behind this EP is amazing and it’s great to see that what PVMNTS have envisioned came to life with “Better days”. Something that did stick out was that the songs sound very similar to one another, there doesn’t seem to much variety between each, where it be the vocal style or the drum patterns. We have to take into account that this is PVMNTS debut release and it still stands so tall on its own. With this in mind, there are no doubts that they will grown and continue to create and develop.